Accommodation is arranged in private suites or villas designed to blend into the surroundings with privacy and intimacy in mind. The rooms are positioned just 15 meters from the shore, are all single storey and are constructed from wood, marble and pink granite giving them a tropical and luxurious feel. Each room has a deck area with sun loungers and a hammock to relax in privacy. 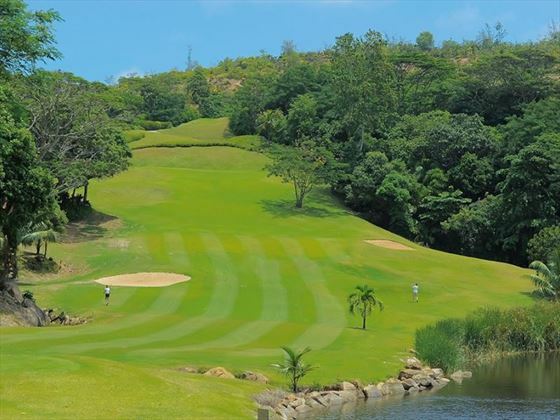 The resort has its own championship golf course as well as extensive sporting facilities. 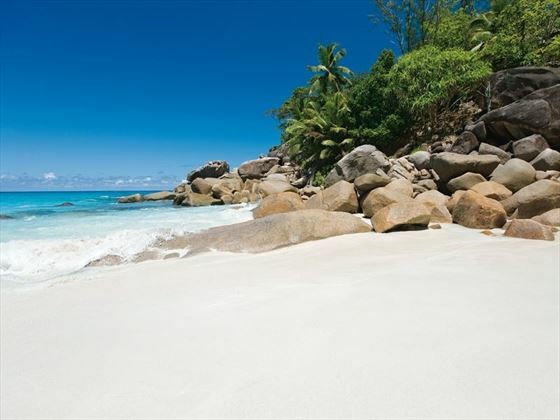 Further reading: Constance Lemuria is featured in our guide to the top 10 luxury hotels in the Seychelles. 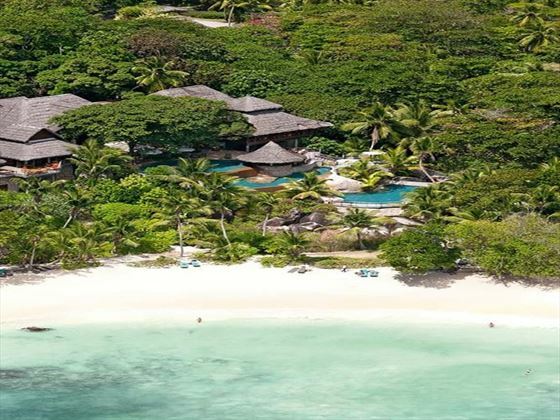 Constance Lemuria is located on the island of Praslin, which is a 20 minute small internal flight from Mahe. From there, it's just a five-minute drive to the resort. 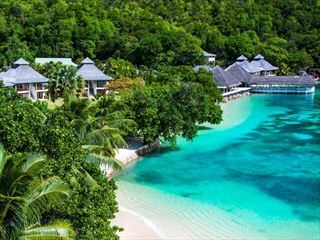 Framed by two beautiful bays and the only golf course in the Seychelles, this location feels incredibly exclusive. 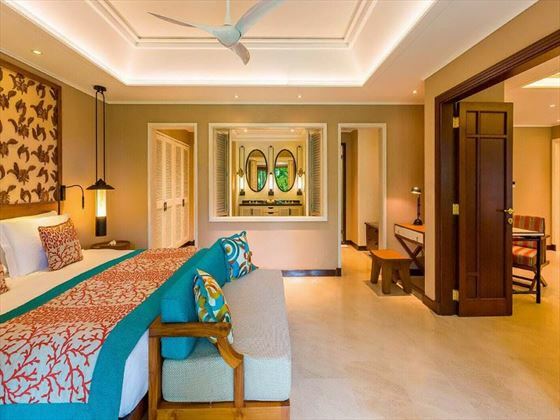 Modern 52sqm suites appointed with bright tropical touches and minimalist decor, with lots of private living space and luxurious amenities, set in the luscious tropical gardens just 15 metres from the shore. Accommodates up to two adults and one child. 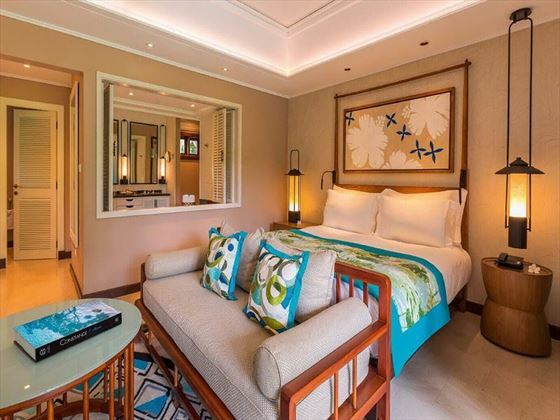 Situated just a short walk from the beach, these beautifully-appointed 115sqm suites are nestled into the emerald, manicured flora of the resorts gardens. Featuring an upgraded level of private living space with a separate bedroom and living room, this accommodation is ideal for a couple in search of a spacious stay, or for small families. Sleeps up to two adults and two children, or three adults. 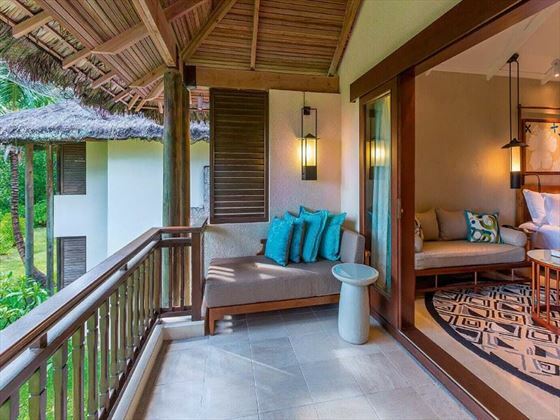 Each measuring an astonishing 725sqm of stunning, private living space, these palm-thatched villas are set within the tropical garden with direct access to the gorgeous beach. Appointed with beautiful interiors of wood and stone, you’ll enjoy a personal relaxation and massage pavilion, private chef service and a sumptuous bathroom. Accommodating up to six guests (4 adults and 2 children or 2 adults and 4 children), this villa is a wonderful choice for a large family or group of friends. Spanning over a magnificent 1250 square metres of opulent living space, these utterly luxurious villas stretch out majestically against a magnificent mountain backdrop. 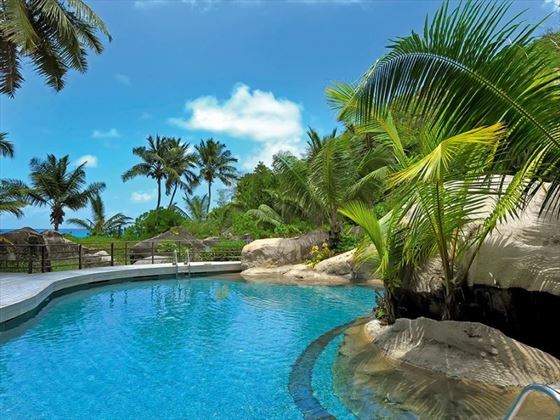 Its design of high-raftered ceilings, marble and local pink granite offer a classic Seychellois elegance with sumptuous amenities and breath-taking ocean vistas. Each suite had a terrace which leads to one of the villa’s three multi-level swimming pools and down to the private beach. Accommodates up to nine guests (2 adults and 4 children or 6 adults and 3 children). A colourful and friendly buffet restaurant offering a variety of international cuisine for breakfast, lunch and dinner. We love the balcony that overlooks the sugary sand beach and three-tier pool. Daytime: casual - shorts, t-shirts and polo shirts with footwear acceptable, swimwear must be covered at all times. Evening: elegant - gentleman required to wear trousers, collared shirts and appropriate footwear. Tailored shorts and Bermuda shorts not permitted. A casual yet chic bar with a delectable wine list. 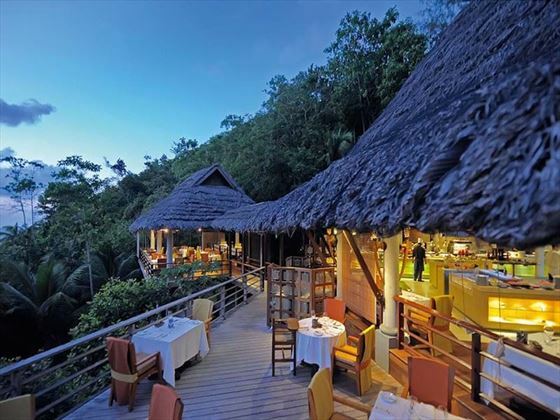 A truly beautiful restaurant serving delectable seafood with a Creole twist. Dining on fresh seafood for lunch and dinner whilst overlooking Petite Ans Kerlan is wonderfully romantic, but the deck located on the rocks behind the restaurant is perfect for an idyllic exclusive dinner for two. 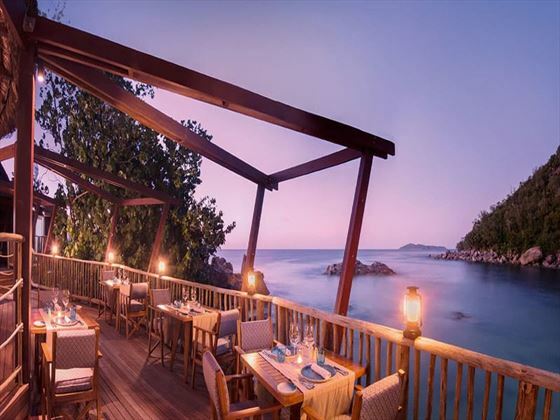 A delightful restaurant offering a barefoot lunch right by the ocean's edge, serving fresh sushi with a Seychellois twist alongside flavourful salads and sandwiches to enjoy under the shade of swaying coconut palms. 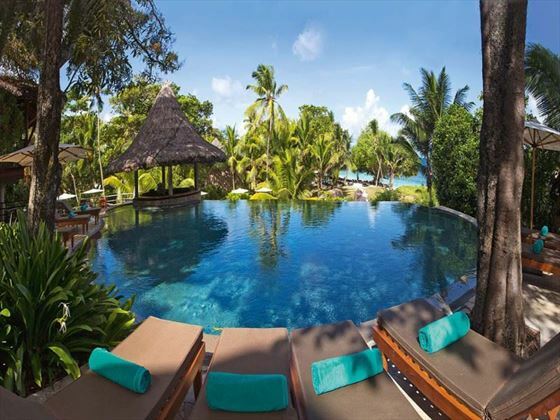 The perfect spot to enjoy an ice-cold beer, smoothie or tropical cocktail beside the pool or in the refreshing water. Meet the resort’s pet peacock while enjoying a selection of delicious waffles, fancy ice-cream cones and cool sundaes. 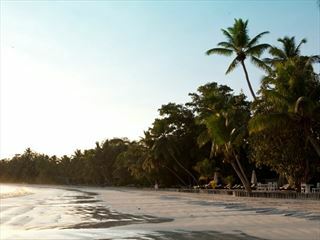 Honeymooners will receive up to 40% off accommodation on meal plan booked. Honeymooner's - A Wedding Certificate no older than 12 months must be shown at check-in. Wedding Anniversaries - Above discounts applicable to the 5th and subsequent anniversaries at 5 year intervals. Must not be more than 6 months prior or after date of anniversary. A Wedding Certificate must be shown at check-in. 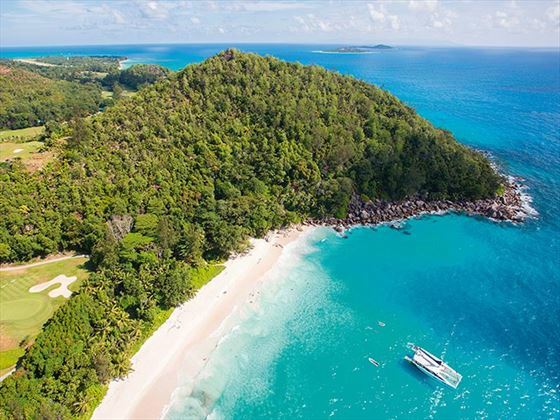 Hopping between Praslin, Bird Island and Mahe, this wonderful 10-night island hopping tour will show you the unique personalities of these beautiful islands, stopping by luxurious hotels along the way.